Thanks to modern technology, it’s getting easier, as well as more affordable, to bring theater-quality sound into your home. 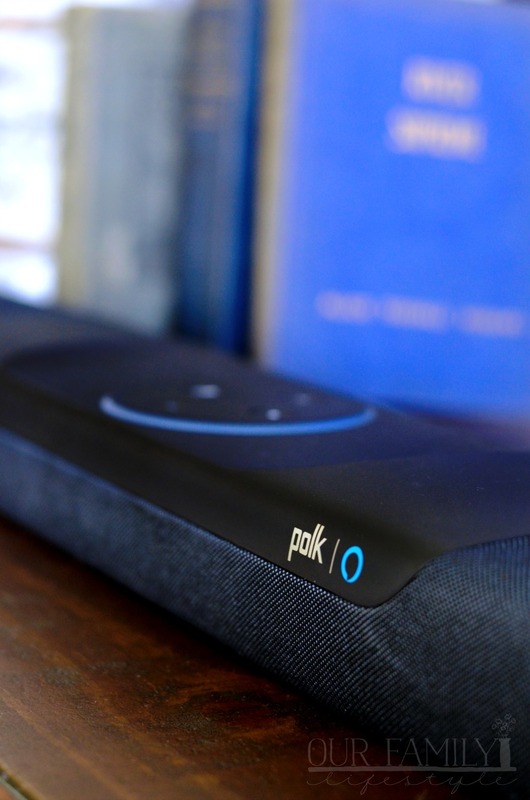 The Polk Command sound bar, available at Best Buy, does just that! 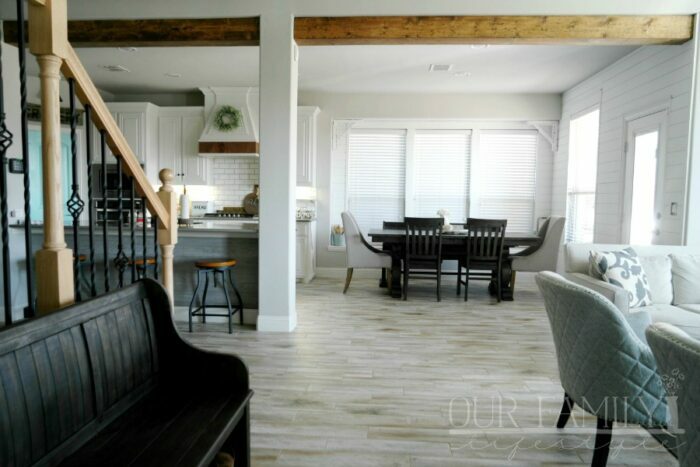 In fact, modern conveniences make it easier than ever to simply sit back, pick up your popcorn and watch a movie—from the comforts of home. 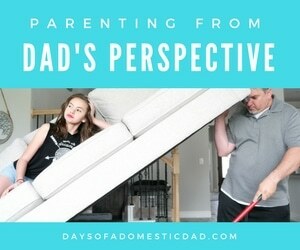 Personally, I typically sit and watch a movie when I’m ready to unwind and exhale after a long day. This means I want to sit down and not move for about two hours. Nothing but movie. 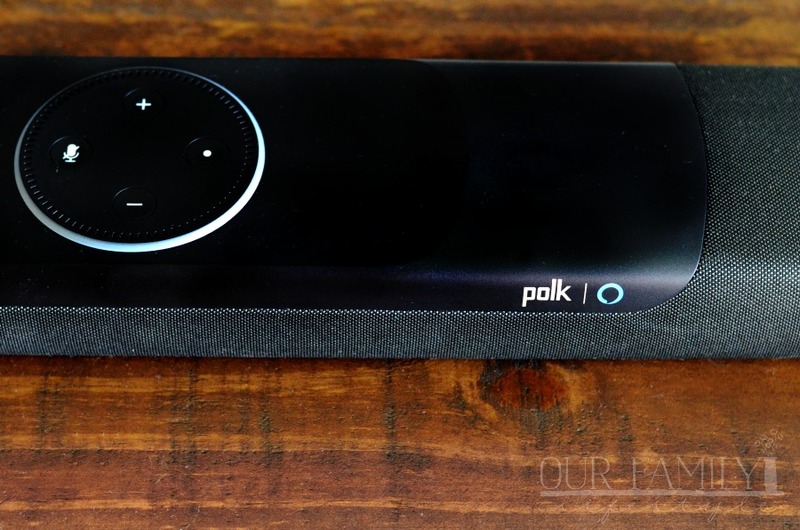 Thanks to the Polk Command sound bar‘s integration with Amazon Alexa, this makes my movie-watching experience even more relaxed. I can lounge on the couch, ask Alexa to help me sort through titles, and then tell her to play the movie. I don’t even have to lift a finger. Well, other than to grab my drink or movie treat. Fire TV Compatible: HDMI ports designed and spaced to fit Fire TV and other wide HDMI streaming devices. Built-in USB port also powers original and 4K versions of Fire TV. Four-speaker enclosure: Features two 1-1/4″ x 3-1/4″ mid/woofer and two 1″ tweeter drivers to deliver a movie theater experience in your own home. 40Hz – 22kHz frequency response: Ensures a wide range of accurately reproduced sound. Performance-tuned driver array, wireless subwoofer and Dolby/DTS surround sound decoding. 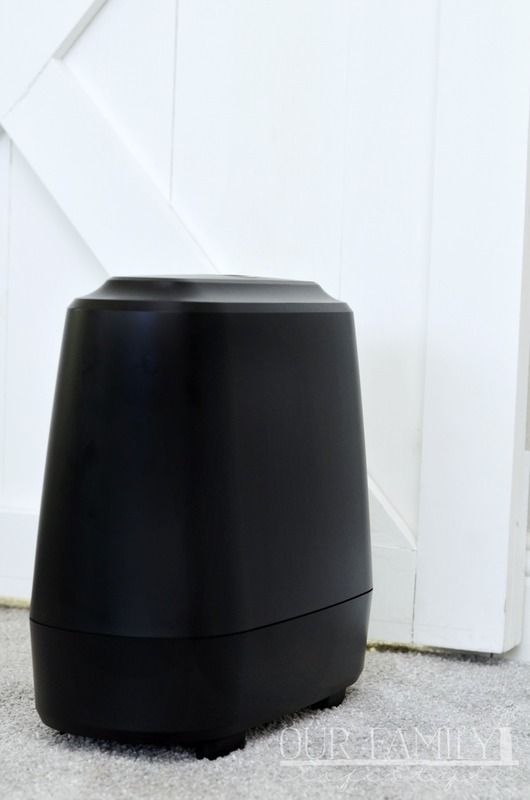 With Bluetooth integration, I can also connect my music streaming app and lay back with ambient music playing through the Polk Command sound bar. So, it helps even beyond watching blockbuster films! 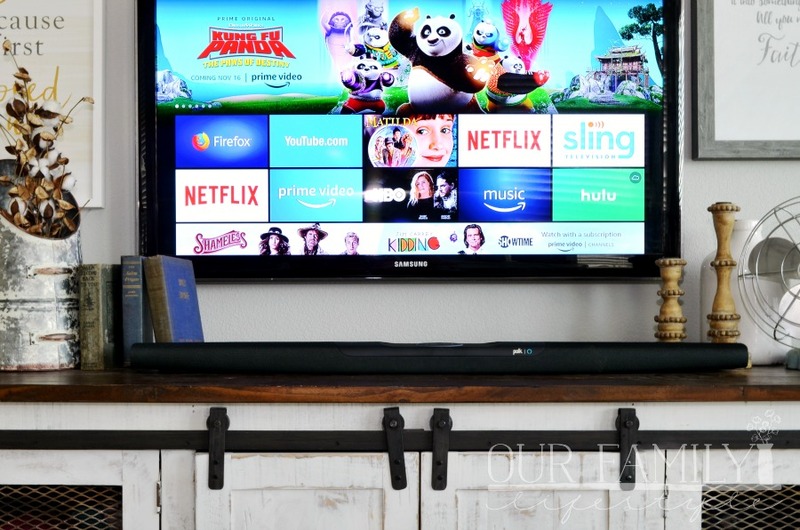 The Polk Command sound bar works with any universal remote for easy incorporation with your setup.